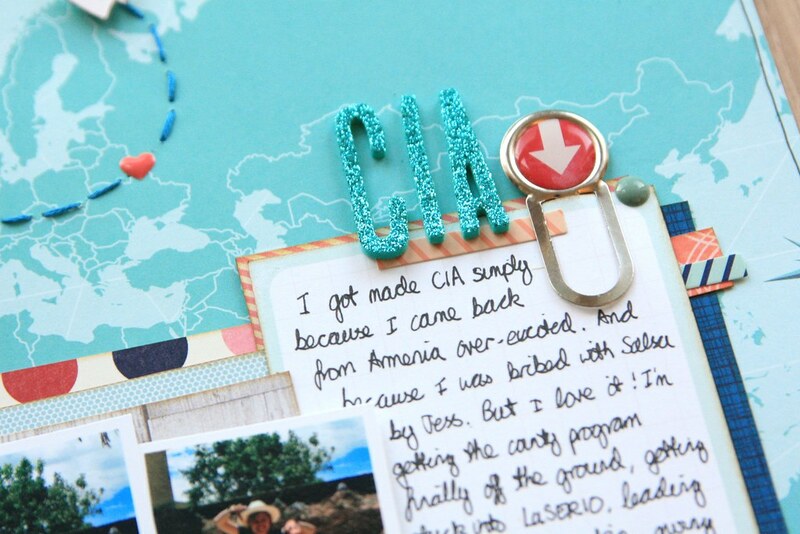 I love how you've done the stitching and how you've made the circle patterned paper look like airmail paper! OMG love your stitching! Makes me wanna do that on my next layout... perfect with the little hearts! great page, looking forward to see it on Shimelle's! Hi Kirsty, your layout is out of this world!! I am so inspired by it!! 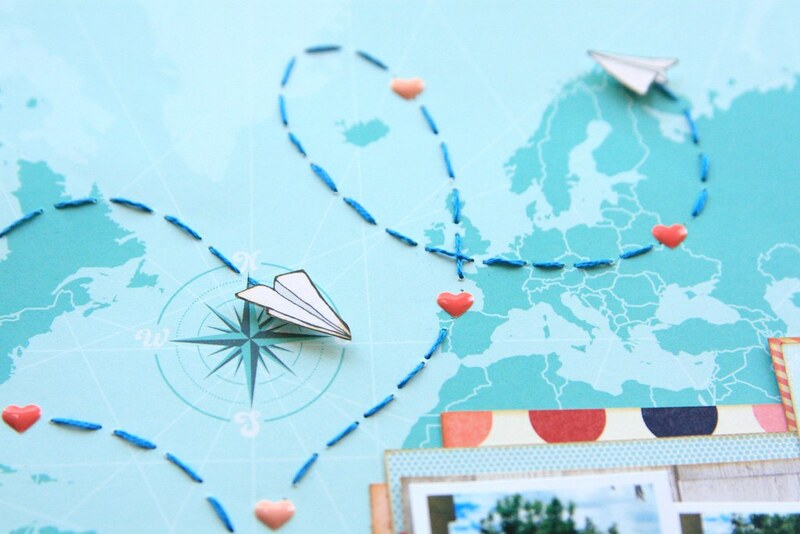 I have trying to find that map background paper but without sucess... Do you have the name of it? Is it from the Starshine collection from Shimelle? Thanksfor your help.